"Relax! You look really tense!" Heard that before? Or perhaps you've caught a glimpse of yourself in the mirror and been startled to see how stiff your posture is. The things is, tension and stress can build up without you realizing. You're getting on with your life and dealing with stuff, and all of a sudden you notice a fixed frown on your face. Or the permanent tightness across your shoulders. You might notice that you're not sleeping so well, because you just can't 'turn off' and relax at night. Many people don't realize that relaxing - taking it easy and doing nothing - is actually as essential to health as activity. Some find it hard to relax, or feel that doing nothing is a sign of moral weakness. They are always pushing themselves to be doing things and feel guilty if they are not 'busy' with something useful. They get a shock when a doctor diagnoses their health problems as 'stress-related'. You see, if chronic tension builds up in your body causing you to be constantly tightening your muscles, then your energy gets drained. You need energy to hold those muscles so tight, and then that energy is not available for other things. 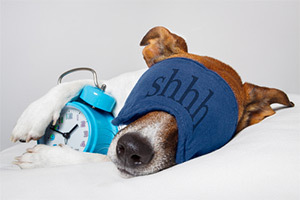 Over time, all that misspent energy leads to serious fatigue and pain... which then makes you anxious and irritable, and more likely to get ill.
Everybody knows you need good quality sleep in order to be healthy but you also need regular times of relaxation in your waking hours. Numerous studies have established that a twenty to thirty minute period of profound rest every day brings tremendous benefits to body and mind. In other words, it's what every busy person really needs. So learning to relax with the Body Scan Relaxation Technique could be the most useful thing you ever do. 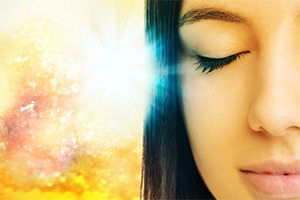 Crafted by professionals, this powerful audio hypnosis session will enable you to effortlessly master the art of unwinding every part of your body quickly and reliably - anywhere. Not only will this bring you much needed rest but you will also be amazed at how invigorated and energized you feel afterwards. Ready for anything! Download the Body Scan Relaxation Technique to get rid of all that tension and feel better quickly. Body Scan Relaxation Technique has been purchased by 743 customers. The relaxation hypnosis I downloaded saved my entity. Been so unconsciously constricting my chi with stress it hurt!